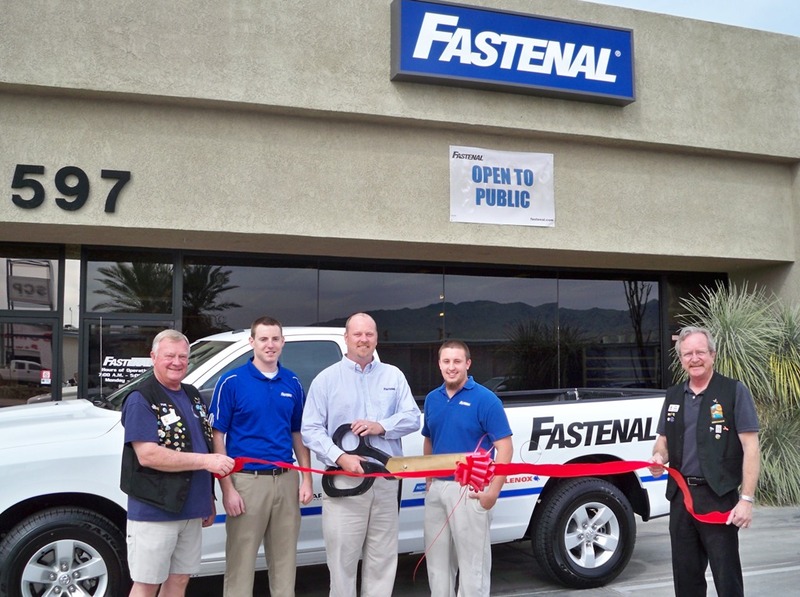 The Lake Havasu Area Chamber Ambassadors held a ribbon cutting ceremony for Fastenal Company celebrating its grand opening and new Chamber membership. Attending the ribbon cutting were Marshall Ronningen, Tyler Hutchins, Robert Pralguske, Chad Fox, and Steve Bentley. Fastenal strives to be the largest and best industrial supplier in the world. Keeping to the motto growth through customer service they pride themselves in inventory management using programs such as the Fastenal Managed Inventory, Vending Machines, and Bin Stock. For more information please contact them at 928-854-8722.